Glimpses of our co-sponsored Receptions at the Congress appear in the souvenirs of our Celebrations and in the Reports for the individual Congresses (2016, 2015, and 2014 Anniversary). These 1-page statements serve as concise Reports for our Activities, Plans, and Desiderata. While we’re here: Interesting, isn’t it, that these Agendas have rapidly become one of our Most-Downloaded Offerings? Some of them now stand among the Top 5 Most Popular Downloads on our site. Predicting the Past (from one of our 2015 Congress Sessions). These publications, like most of our Publications, are FREE, but we welcome donations, both in funds and in kind, for our nonprofit mission, with the option of tax-deduction for your Donations. And now, here is the plan for 2019 at the International Congress on Medieval Studies. We announce the accepted Sessions, describe their aims and scope, and provide information for sending your questions and your proposals for papers to the Session Organizers. 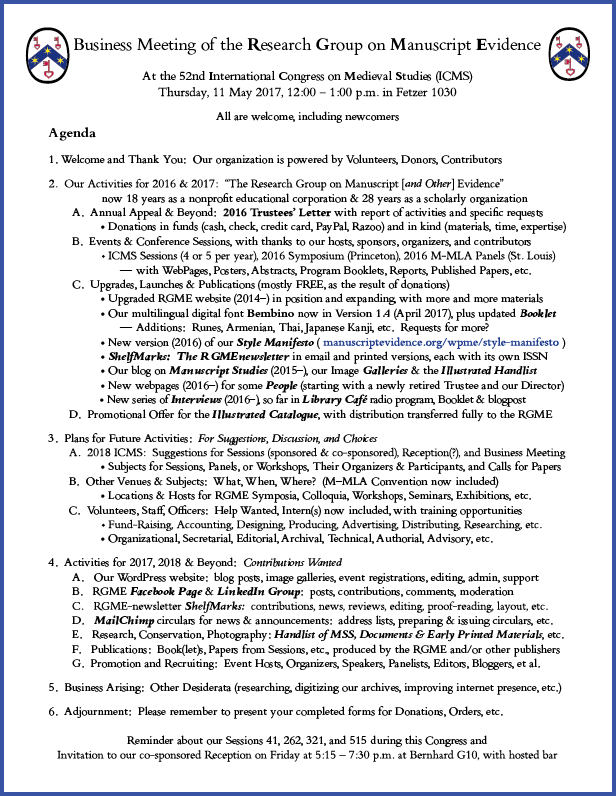 Herewith our Call for Papers for the 2019 Congress. While our organization’s abiding mission is to consider the material evidence of written records “as carriers of text, archaeological artefacts, works of art, layers of history, and monuments of culture” (as declared in our Mission Statement), we must wonder what happens when lacunae — whether from scribal intentions, accidental omissions, temporal vicissitude, or other means — alter or limit the topography opened by a manuscript. Opening Title and Opening Words of Luke. Despoiled Large-format Romanesque Bible made in Italy. Budny Handlist 1. For example, how have previous receivers and transmitters negotiated these lacunae? How do editors amend, elide, or underscore them? How do scholars interpret the gaps and silences occasioned by them? This session may explore some options and present telling case-studies. Please send your proposals to hastings@luc.edu by 15 September 2018. A variety of magical texts in Celtic contexts include animals or animal imagery in their spells. The creatures range from snakes, beetles, and worms, to dogs, wolves, deer, pigs, and birds — and many other creatures besides. The texts range from individual Irish incantations and collections, as found in the St. Gall Incantations, the Reichenau Primer, the Stowe manuscript, and in the Leabhar Breacc, amongst many others. © The British Library Board. 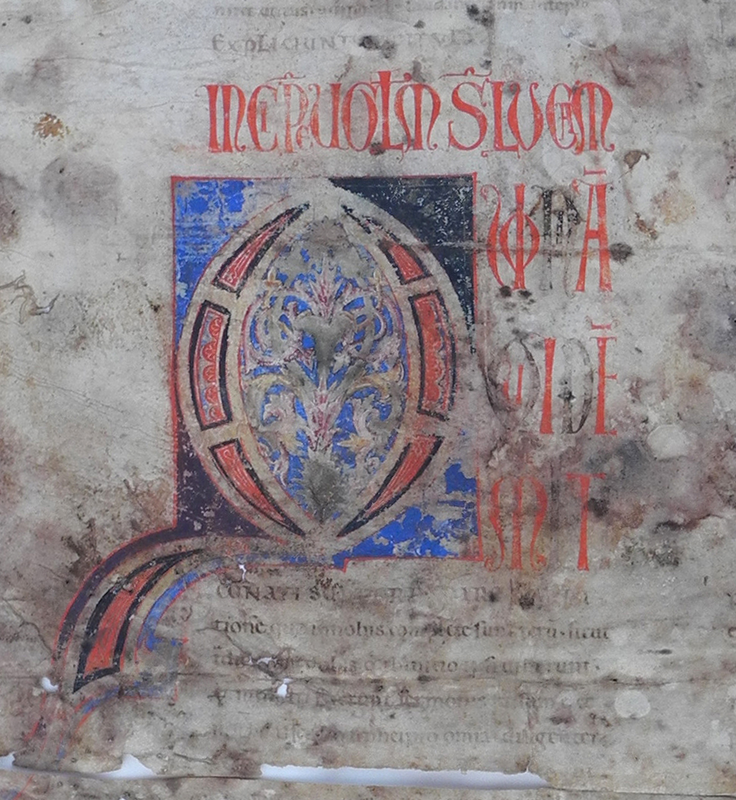 Harley MS 1023, folio 64 verso. Part-page framed illustration in ink of the Eagle Symbol of Saint John the Evangelist. Some mantic operations, like the imbas forosnai ritual detailed in the early 10th-century Sanas Cormaic, include the use of pig-, cat-, and dog-meat in their formulae, whilst the tarbfheis described in some literary texts required the slaughtering of a bull. Charms designed to repel rats and other vermin were also employed, including their use into more modern periods. The medieval literate record also contains many occurrences of animals in relation to the magical actions of characters, whether human or divine, or of “magical animals” of various sorts appearing as messengers, omens, or agents and characters in their own right. 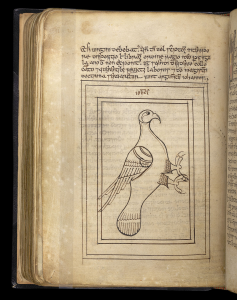 Whether animals or animal parts are used as components or metaphors, sacrifices or spoken formulae, narrative elements or desired outcomes, Celtic texts have ubiquitous instances of animal imagery and involvement. Papers in this session may relate to theoretical approaches toward the material of animal imagery, thematic explorations of different types of usage of animals, or attempts to survey, catalogue, and analyze the nature of particular animal appearances in these texts and operations, as well as anything else which may relate to the broad topic of animals and Celtic magical texts. Please send your proposals to phillip.bernhardthouse@gmail.com by 15 September 2018. Although texts of ritual magic circulated widely during the later Middle Ages, the opprobrium they attracted both elevated the risks for their owner-users, and limited the physical lifespan of the codices themselves when they caught the attention of Church authorities. Consequently, texts of ritual magic often survive not as independently circulating treatises, but rather as subsections of more innocuous-seeming treatises on other topics such as natural philosophy or medicine. This session aims to bring to light and discuss this particular sub-category of magical treatises, their transmission histories, and the intertextualities between them and their textual “hosts”. 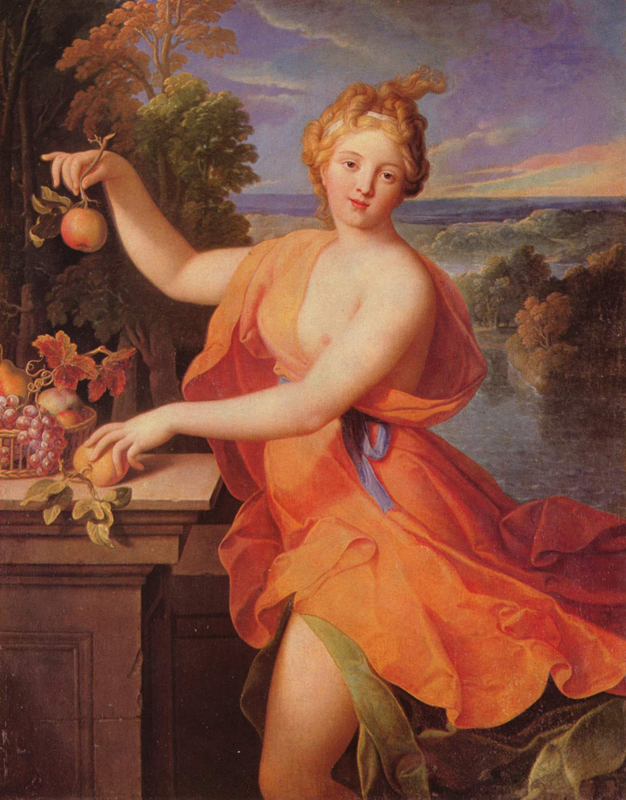 Nicolas Fouché, “Pomona” (circa 1700). Budapest, Museum of Fine Arts. Via Wikipedia Commons. After the suppression of polytheistic religious activities in the fourth century CE, some sites and images — and certainly citations in literature — of the classical Greek and Roman (and occasionally other Mediterranean) deities had a “second life” in places like Italy, Spain, Greece, and North Africa. However, even if imported and syncretistic cultus to these deities existed in more northern climes (including the former Roman provinces of Germania, Gaul, and Britain), the various Latin and vernacular literatures of the Germanic, French, British, and Irish peoples of medieval and later periods gave some of these deities a “third life,” and often one rich in interpretive possibilities for the learned authors who discussed them. many other intriguing re-uses of the classical material. Papers in this session will explore these themes and thereby work to contextualize these reinterpretations historically, politically, and theologically, as well as via other vectors of analysis. They also seek to catalogue and to increase the visibility of these phenomena. 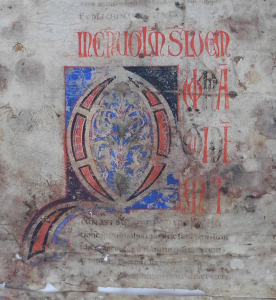 Please send your proposals for papers, along with the completed Congress Participant Information Form, to the Session Organizer(s) or to director@manuscriptevidence.org to reach us on or before 15 September 2018. Please Contact Us with your questions and suggestions. For our nonprofit educational mission, with tax-exempt status, donations in funds and in kind (expertise, materials, time) are welcome. You might keep track of our updates also via our News & Views.